Often used for docks and commercial products, our 2 in. x 6 in. 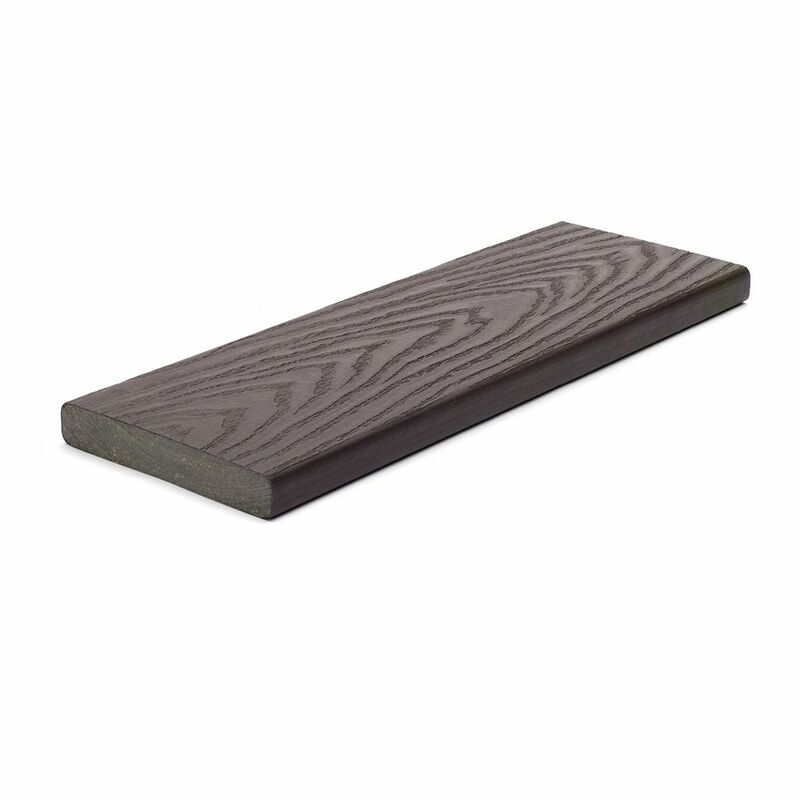 Select boards bring legendary luxury to your home more affordably than ever. Durable and inviting, Select is the perfect, go-with-anything decking that retains its beauty for decades with only minimal upkeep. And when it comes to deck design, our Decking & Railing Duos can give you an idea of what's possible. Plus, you can feel good about your purchase, since Trex is made from 95% recycled materials. 16 Ft. - Select Composite Capped Square Decking - Woodland Brown Trex Select brings legendary luxury to your home more affordably than ever. Durable and inviting, Select is the perfect, go-with-anything decking that retains its beauty for decades with only minimal upkeep. And when it comes to deck design, our Decking & Railing Duos can give you an idea of what's possible. Plus, you can feel good about your purchase, since Trex is made from 95% recycled materials.